Each of these exotic fragrances from Vera Wang delivers a stylish blend of beautiful floral scent, in gorgeous packaging that perfectly celebrates the women in your life. If you are purchasing for your own mother, you may want to try Forever Vera. As timeless as a mother’s love, Forever Vera wraps the exotic notes of white peach, gardenia, and coconut water around a tender heart of luxurious Orris and blooming lilac. Deeper notes of creamy sandalwood, tonka beans, and sheer musk linger delicately on the skin. Inspired by Vera Wang’s Wedgwood collection, the bottle’s delicately hammered glass and elegant rope detail hint at classic femininity – the perfect gift for a woman comfortable in her own skin. You can purchase this fragrance at Kohl's or another retailer. 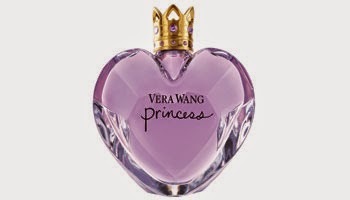 If you are purchasing a gift for your sister that happens to be a mother, you may want to try Vera Wang Princess. You’ve pulled her pigtails and worn her favorite jeans. Now that she’s a mom, you can make it all up to her with one gorgeous gift: Vera Wang Princess. Blending the fullness of Tahitian tiare flower and ripe pink guava with delicate lady apple and vanilla chiffon, it’s perfectly suited to a woman coming into her own. A graceful fragrance fit for a princess, the bottle’s cut glass facets, bejeweled crown cap, and crystalline adornment in amethyst hues tell her what a true treasure she is. If you already have your mother and sister covered, you may want to think about buying a mother's day gift for your BFF. Her kids may forget to get her something nice, so it may be a fantastic idea for you to pick up a bottle of Vera Wang Be Jeweled to surprise your best friend for Mother's Day. The essence of the perfect girls’ night out, Vera Wang Be Jeweled blends top notes of pomegranate with a splash of champagne, as sparkling as your best friend’s smile. Mirroring the deepening of lifelong friendship, this fragrance’s flirty florals swirl with passion fruit against a background of pink sugar crystals and musk-infused woods. A bright, eye-catching bottle sparkles with intricate facets of purple, pink and champagne -- the gem your dearest friend deserves. Above are three perfect gift ideas for Mother's Day 2015. If for some reason you would like to review additional options, you can view the other gift options posted here on the Fashion Blog (the following are not from Vera). Hopefully you will find something nice for mother from the selection above. If you discover a better gift for a fashionable mom, let us know.